This is a single-pass, cut-and-chip harvester reaping fast-growing willow for a carbon-neutral biomass plant, part of Germany’s Energiewende or “energy turnaround.” Germany currently produces over 30 percent of its energy from wood, but when the total cost of harvesting and processing wood is calculated, it is not carbon neutral. The industry exists because of significant government subsidies. Biomass energy is a “bridge” solution—one that can help the world transition from fossil-fuel power to 100 percent clean, renewable energy. Until energy storage grows and the grid becomes more flexible, it can help meet electricity demand, complementing variable wind and solar power. Carbon-rich biomass can be harvested to produce heat, create steam for electricity production, or be processed into oil or gas. Doing so trades in carbon that is already in circulation, cycling from atmosphere to plants and back again. Grow plants and sequester carbon. Process and burn biomass. Emit carbon. Repeat. It produces net zero new emissions, so long as use and replenishment remain in balance. Biomass energy is a true solution only if it uses appropriate feedstock, such as waste from mills and agriculture or sustainably grown perennial crops. Using annual grain crops like corn and sorghum depletes groundwater and requires high inputs of energy. Using native forests is nothing less than an atrocity. It is crucial to manage the drawbacks of biomass energy through regulation. Most important to bear in mind is that biomass—carefully deployed—is a means to reach a clean energy future, not the destination itself. Impact: Biomass is a “bridge” solution, phased out over time in favor of cleaner energy sources. This analysis assumes all biomass is derived from perennial bioenergy feedstock—not forests, annuals, or waste — and replaces coal and natural gas in electricity production. By 2050, biomass energy could reduce 7.5 gigatons of carbon dioxide emissions. As clean wind and solar power become more available in a flexible grid, the need for biomass energy will decline. Perennial herbaceous grasses; Woody crops: Toensmeier, Eric. The Carbon Farming Solution. White River Junction, VT: Chelsea Green Publishing, 2016; El Bassam, Nasir. Handbook of Bioenergy Crops: A Complete Reference to Species, Development and Applications. Routledge, 2010. [U.S.] biomass electricity generation plants: “Biomass Energy Overview.” Partnership for Policy Integrity. April 2011.
land…food…biomass…interact dynamically: Kline, Keith L., Siwa Msangi, Virginia H. Dale, Jeremy Woods, Glaucia M. Souza, Patricia Osseweijer, Joy S. Clancy et al. “Reconciling Food Security and Bioenergy: Priorities for Action.” GCB Bioenergy 9 (2016): 557-576; Zilberman, David. “Indirect Land Use Change: Much Ado About (Almost) Nothing.” Global Change Biology, Bioenergy 9 (2016): 485–488. 2 percent of global electricity production: REN21. Renewables 2016 Global Status Report. Paris: REN21 Secretariat, 2016. Perennial herbaceous grasses such as switchgrass and Miscanthus can be harvested for fifteen years before replanting becomes necessary […]. 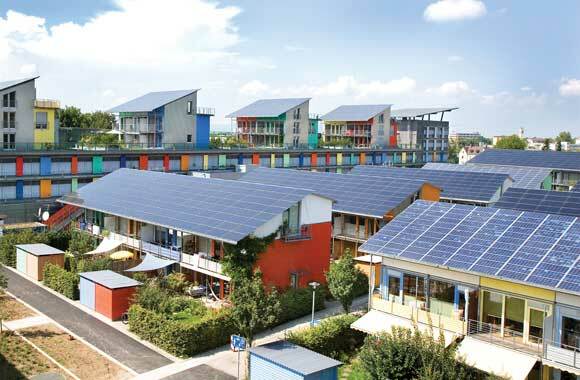 Germany currently produces 7 percent of its energy from biomass. Project Drawdown defines biomass as: the use of perennial biomass feedstock for dedicated electricity generation and combined heat and power generation. This solution replaces conventional electricity-generating technologies such as coal, oil, and natural gas power plants, and is considered a “bridge solution” to a 100% clean, renewable energy system. Considering their variety of potential uses, it is important to consider the development and deployment of perennial crops as an alternative to annual bioenergy crops. Perennials are generally defined by their lifetime of 3 or more years. Through various life cycle assessment studies (Searchinger et al, 2008; DeCicco et al, 2016) performed on annual bioenergy crops such as corn, it has been shown that they are not much better than fossil fuel energy sources in terms of climate and energy impacts. Perennial grasses, on the other hand, have naturally high productivity, need fewer chemicals and water, and are not food crops; hence, many governments worldwide are choosing them as future energy farming systems (El Bassam, 2010). This analysis focuses on perennial biomass, and models both woody and herbaceous plants as the main source of feedstock for dedicated electricity generation and combined heat and power generation. The total addressable market for electricity generation technologies using perennial crops as feedstock is based on estimated global electricity generation in terawatt-hours from 2020-2050. Current adoption  is estimated at 0.25 percent of generation (i.e. 55.42 terawatt-hours). This number is derived from solid biofuels and bagasse data (IRENA, 2016), applying a factor of 20.2 percent obtained through a meta-analysis of data from several sources (El Bassam, 2010; NREL, 2011; Turconi et al, 2013). Impacts of increased adoption of biomass from 2020-2050 were generated based on three growth scenarios, derived from the evaluation of scenarios from two global systems models. These three scenarios were assessed in comparison to a Reference Scenario where the solution’s market share was fixed at the current levels. Drawdown Scenario: This scenario takes a medium growth adoption trajectory from the IEA ETP 4°C Scenario and Greenpeace Reference Scenario. For this scenario, instead of applying a constant share of perennials throughout the modeling period, an increasing share was applied based on the production of perennial energy crops,  reaching 51 percent in 2050. This scenario accounts for a 0.53 percent share of the electricity generation portfolio in 2050. Optimum Scenario: This scenario considers the low growth of the IEA ETP 6°C Scenario projections, and a linear trend line extrapolation of 2006-2015 historical data for biomass and waste. Similar calculations to the Plausible Scenario were considered for the electricity generated from perennial crops. This scenario accounts for a 0.35 percent share of the electricity generation portfolio in 2050. Financial assumptions for biomass electricity generation were used from many peer-reviewed sources to determine capital and operating costs. 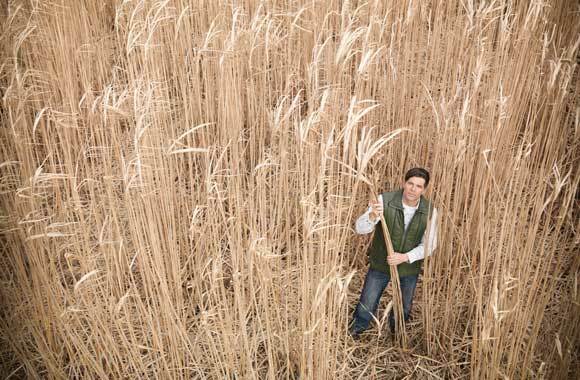 Emissions were estimated based on a few studies that focused on electricity production from perennial feedstock such as miscanthus and willow short rotation coppice. The financial inputs used in the model assume an average installation cost of US$4,772 per kilowatt  with a learning rate of 7.5 percent, reducing the cost to US$4,089 per kilowatt in 2030 and to US$3,817 in 2050. This is compared to a weighted average of US$1,923 per kilowatt for conventional technologies such as coal, natural gas, and oil power plants. An average capacity factor of 62 percent was used for the solution, compared to 55 percent for conventional technologies. Variable operation and maintenance costs of US$0.033 per kilowatt-hour and of US$98.1 per kilowatt for fixed costs are considered for biomass technologies, compared to US$0.005 and US$33.0, respectively, for the conventional technologies. Through the process of integrating biomass with other solutions, the market for electricity generation technologies was adjusted to account for reduced demand resulting from the growth of more energy-efficient technologies,  as well as increased electrification from other solutions like electric vehicles and high-speed rail. Grid emissions factors were calculated based on the annual mix of different electricity generating technologies over time. Emissions factors for each technology were determined through a meta-analysis of multiple sources, accounting for direct and indirect emissions. A straightforward comparison of the adoption and emissions results with other sources is not possible, due to the specificities of the feedstock considered herein, since all other global energy system models consider aggregate numbers for biomass and waste. The results for the Plausible Scenario show that the net cost compared to the Reference Scenario would be US$402.31 billion from 2020-50, with nearly US$519.35 billion in savings from the energy-generating biomass plants installed in the same period. Increasing the use of this solution from approximately 0.25 percent in 2014 to 1.85 percent of world electricity generation by 2050 would require an estimated US$719.24 billion in cumulative first costs. Under the Plausible Scenario, this solution could reduce 7.5 gigatons of carbon dioxide-equivalent greenhouse gas emissions from 2020-2050, compared to a Reference Scenario where the solution is not adopted. Both the Drawdown and Optimum Scenarios are less ambitious in the growth of perennial biomass for generation technologies, with impacts on greenhouse gas emissions reductions over 2020-2050 of 1.3 gigatons and 0.23 gigatons of carbon dioxide-equivalent, respectively, for both scenarios. This is due to assumptions made regarding adoption trajectories, system dynamic analysis, and integration with other solutions. Bearing in mind the portfolio of other renewable energy technologies available, 2 percent of electricity generation from perennial biomass in 2050 still comprises a significant portion of global electricity demand. While the carbon savings may not be tremendous, the model did not account for electricity generation technologies with carbon capture and storage. Despite the robust adoption projections for total biomass and waste, the mix of electricity-generating technologies (co-firing or dedicated biomass, pure electricity or co-generation) or fuels (wood pellets, agricultural residues, municipal solid waste, synthetic gas, biogas), and the share of perennial crops used, bring significant levels of uncertainty. See the perennial biomass solution on the Project Drawdown website: http://www.drawdown.org/solutions/land-use/perennial-biomass. This determination is justified by current estimates that put the total land area under perennial crops at at least 153 million hectares, which is 11 percent of the world’s cropland; out of this area, only a small fraction of the land is used for energy crops. Based on literature from a few regions and applied to a global scale, it was found that only 0.29 percent of total land area is currently under perennial energy crops. Power plants produce large amounts of waste heat. Cogeneration systems capture that thermal energy and put it to work—for district heating or additional electricity.